Hank Marvin is well respected in the guitar world for his fabulous guitar arrangements and music execution. His metallic echoed picking on a red Fender Stratocaster, with generous employment of tremolo arm, is often regarded as the sound that inspired numerous guitar heroes. He is best known as the lead guitarist for The Shadows, the group, which primarily performed instrumentals and were the backing band for Cliff Richard. Many guitar icons, such as Jeff Beck, Pete Townshend, Eric Clapton, Peter Frampton and, of course, Mark Knopfler, all cite Marvin as a major influence. Hank Marvin and The Shadows. The Shadows, with Cliff Richard, dominated British popular music in the late 1950s and early 1960s, in the years before the Beatles. The group was the first backing band to emerge as true guitar stars. They are the third most successful act in the UK singles chart, behind Elvis and Cliff Richard and scored five No.1 UK hits that included the legendary "Apache" with Hank Marvin on lead guitar. 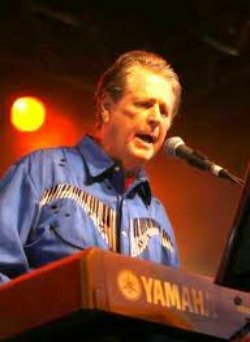 The song was written by a British performer named Jerry Lordan, who had three UK Top-40 hits in 1960 but didn't record "Apache." 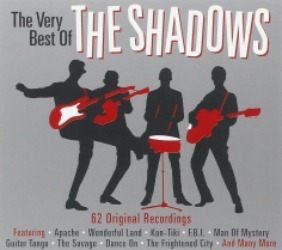 The Shadows version didn't make it in America, where the group had little promotion and a lawsuit from an American R&B group also called The Shadows. The Ventures released their cover in 1963 and included it on albums released in 1965, '67, '71, '75, '77, '80 and '82. This could be the reason many believe The Ventures released the original song. 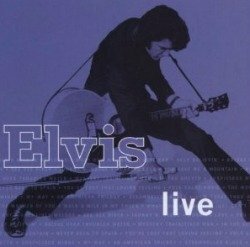 The Shadows recording with guitar work from Marvin is generally considered the definitive version. A majestic and haunting tune...."Apache" is played here by "The Shadows" original lead guitarist, Hank Marvin. Many can play this, but very few so perfect. "Ghost Riders In The Sky." Like old west ghosts flying in and around the mesas in Monument Valley just before dusk,"Ghost Riders in The Sky" is another haunting tune, that remains "king tone" among many players in the guitar world. 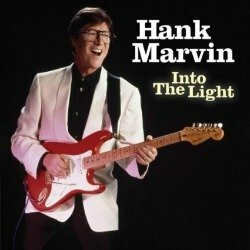 Another great performance by the Stratocaster Master, Hank Marvin. The Shadows were crucial to the development of British rock and were responsible for some of the best instrumental music of the 50s and 60s. Their instrumentals are nothing short of extraordinary at the hands of bassist Jet Harris, drummer Tony Meehan, Bruce Welch and of course Hank Marvin, whose style would influence numerous future guitarists. Mystery Train challenge - 5 great guitarists do their thing. 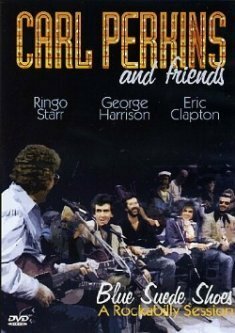 Carl Perkins Rockabilly guitar licks - Great video with George Harrison. Return to Guitar Favorites main page.